Indian weather has distinct variation all through the year. As summer season is already here, that means it's time to start thinking about preparing ourselves for the longer days ahead. We feel compelled to change our entire wardrobe to match the season. Infact in many regions, people are flaunting their chic, stylish, summery light outfits for the season already. Wow, the world is all glam up. In all the maze that these changing fashion trends create, I never miss noticing one thing that’s how an elite pair of sunglasses makes a significant appeal at every nook and corner. 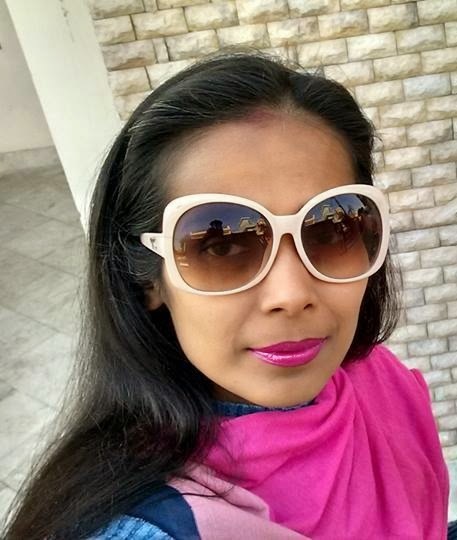 Actually seeing someone walking with elegant sunnies always prove the point that no accessory other than appropriate sunglasses can decorate the divas and hunks present their best foot forward. 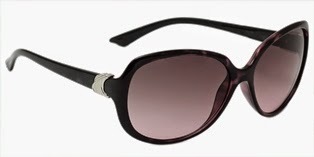 Today I present you with a comprehensive guide of this year's Spring/ Summer Eyewear Trend.. When you go for catchy colors in outfits, there is no point forgetting the accessories match with them aptly. And this time, you may expect the green, yellow, orange, pink, blue and many other funky colors making their reflection on sunglasses. Oh my, my! 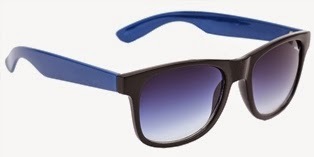 any male or female look will be well complemented with the noteworthy combinations of such modish sunglasses with the garments they are worn with. A major turn-on these days are oversized sunglasses to accentuate your personality that give a perfect final touch to the rest of look and practically provide maximum coverage to the eyes as well as the areas around them for better eye protection. These are my personal favourites for a beautiful and quite noteworthy alternative to create classic impact on others. If standing out in the crowd is your sole wish, then there are exceptionally trendy sunglasses with embellishments like colorful beads, stones, carving etc. which are your direct gateways to unique and modern looks for any season. The list is endless, but a big thanks to the plethora of energizing styles, shapes,colors and detailing available in the creative adornments called "sunglasses" that have always integrated themselves in any era of 'perfect vision'. So don't wait any more and transform your persona with the right pair of elite sunglasses today itself coz it's time to kickoff summer with the hottest sunglasses. And you know that among all regions of Gujarat, the bustling city of Ahmedabad has a wholesome range of fast food to offer... The fast food in Ahmedabad is a true amalgamation and exquisite blend of flavors where sweet notes dominate most preparations. Most of the snacks (nasto) are made with Gram Flour, so are rich in nutritional content too. 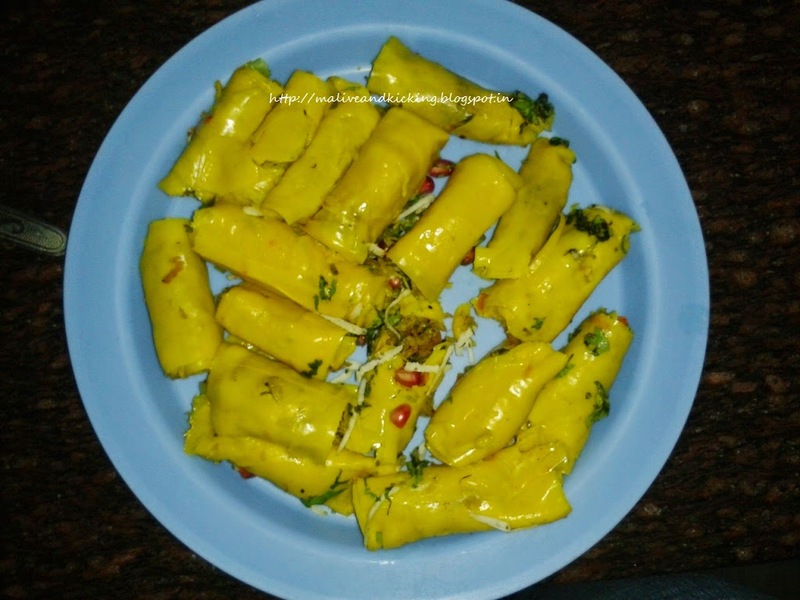 One of the much-loved mouth watering snacks in Ahmedabad Khandvi is my favourite when these cute rolls seasoned with sautéed sesame seeds and mustard melt in my mouth satiating my deepest lust for yummy snack. Yet another soft n spongy snack of Ahmedabad that is prepared with similar ingredients like Khandvi is Dhokla. I seriously can eat it anytime even when I had tummy-full of my food ;) This sweet-n-tangy, easy to digest, steamed snack cannot be missed at any cost. Hey, since summers have already started showing its true colors; let me not forget that sweet n spicy mix of curd cooked with besan to make Gujarati Kadhi is the best escape from heat due to its cooling properties. No other tea-time snack can beat the taste of crispy and crunchy Chakali twisted in spirals that makes it one of the most savoury snack for kids too. I still remember myself feeling amazed when I first saw Khakhra and refused to eat it considering it as a 'sookhi roti'. But now as I know the uniqueness of this delicious snack, I know how this flattened preparation is enjoyed with variety of pickles and chutneys from the region. 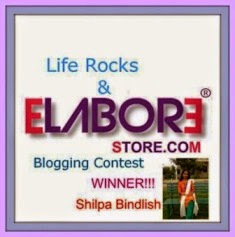 For those who have visited Ahmedabad, I am eager to know what snack you liked the most. 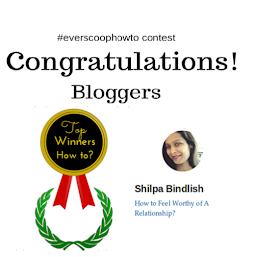 Do share your experience. Labels: Ahmedabad, Food & Drink, Gujarat. Several people ask me the secret of my slim body built.I smile and answer "I completely believe in power of healthy breakfast. And If you also want to wake up to a delicious and nutritious breakfast, follow the healthy recipes in your breakfast in the same manner as served in Kelloggs Wale Guptaji ka Nashta." What?? You have not heard of #KelloggsWaleGuptaji and the delicacies her family enjoys in morning meal? Okk, then watch this yummy advert on Kellogg's India youtube channel and follow Kellogg's 'Anaaj ka Nashta’ on Facebook for an irresistible kick first of all. Now that you have seen that everybody is curious to relish nashta at #KelloggsWaleGuptaji's place, I am no excepttion and am also in the queue. You know why? Guptaji's family boasts of their talent to whip up the perfect breakfast for any occasion with over a 100 mouthwatering recipes. And most of their yummy recipes have rich content of Kellogg nutrition. Yup, you heard me right... a plateful of healthy & yummy food to put in my not-so well functioning stomach is a worth relishing experience for me. So I am keeping an eye for an invite for Kelloggs Wale Guptaji ka Nashta some day. I seriously love it when somebody can make the most delicious light-on-heart and easy-to-digest dishes with only few healthiest ingredients like Kelloggs with ultimate varieties of snacks. Because I can fuel my body for entire day with right mix of plenty of recipes every day. Ahh, I am dying to accompany Guptaji's family for the morning meal. There are times when I am sick of breakfast that gets a bit boring if I stick to the same old routine. Who doesn't like to spice it up occasionally without compromising in the healthy content. And I know cereals and snacks can be finger-licking good with a handful of Kellogg's added to it. ummm I am dreaming of myself drooling over a bit of extra delicious Kelloggs nashta that will transform my good old classic dishes in brand new ways. Finally I believe in the power of breakfast that ensures the important ingredients to enter our body through balanced morning meal that makes sure proper brain development and body functioning. I crave to learn some interesting Kelloggs recipes from Guptaji's family that is a wholesome goodness in long run for me. The first food intake of the which the 'nashta' enters our body after a minimum gap of seven-eight hours of night sleep and I want Kelloggs to fulfill all the requirements for my body's growth and it should act as a fuel to jump-start the day in most energetic way. With so many tempting reasons to enjoy Nashta at Guptaji's place, I wont even need to stave off my hunger. What a relief and Thanks to #KelloggsWaleGuptaji ka Nashta. Labels: #KelloggsWaleGuptaji ka Nashta, Food & Drink, Kelloggs India, life. Skin care regimen must always start with a perfect face cleanser.By 'perfect', I mean a cleanser that is formulated with the ingredients that work on specific skin problems and are categorized for various skin types. Because when we choose a product that is not meant for us and it doesn't match our expectations, its a conflicting situation. 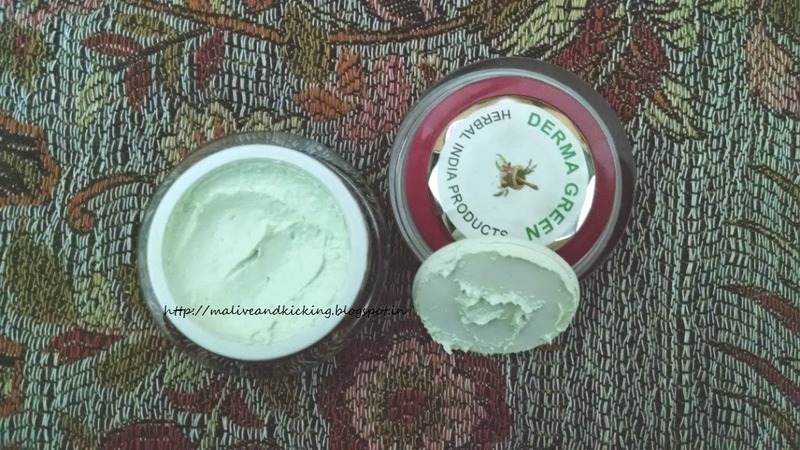 Today I am taking time to tell you about my experience with Eeshha Herbal Anti Acne Neem and Tea Tree Face Wash.
Neem and Tea Tree face wash is suitable for oily skin, helps to cleanse and remove oil. 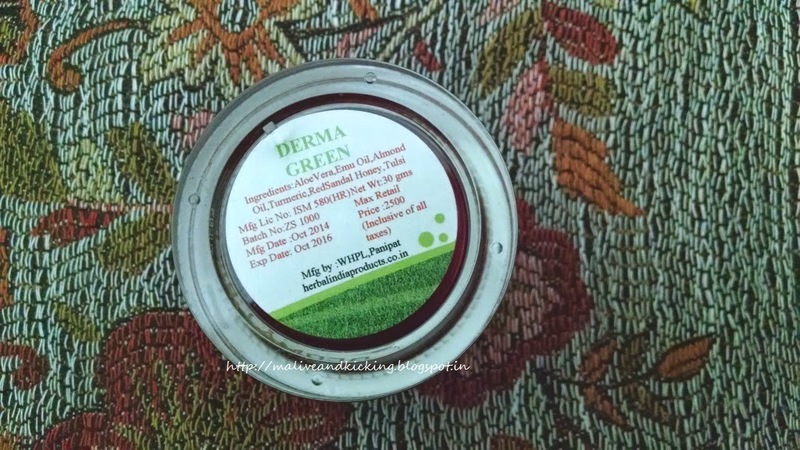 Neem is effective in treating acne, providing soothing and emollient effect making skin healthy and glowing. Tea tree oil is used to give germicidal, antiseptic and anti-inflammatory effect. Ingredients: Glycerin, Dimethicon, Polyquaternium, Alp sebum, Tea tree oil, Neem oil, Coco amido propyl betane, Decyl glycoside. 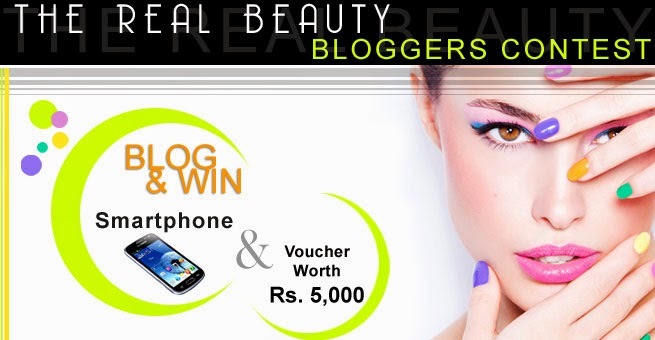 Price: Rs 135 for 100 ml. Moisten your face and neck with water. Take appropriate amount of the face wash and apply all over face and neck with light circular movements using wet fingertips generating lather. Rinse well with plenty of water. 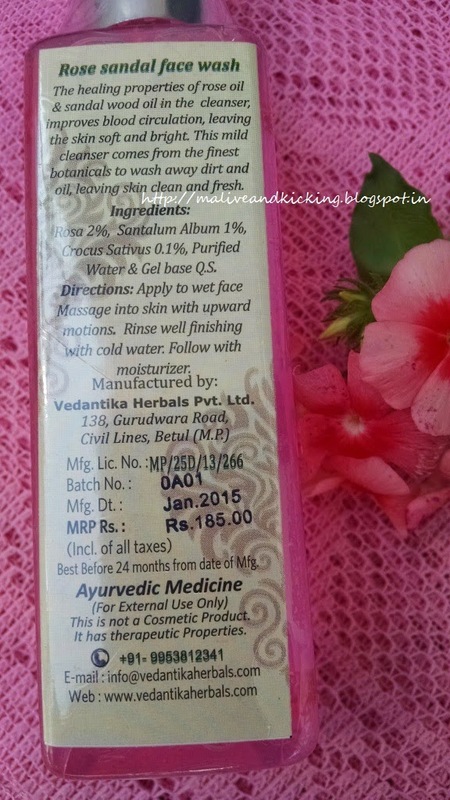 Eeshha Herbal Anti Acne Neem and Tea Tree Face Wash comes in a squeeze tube with a flip open cap. The cap is tight enough to avoid any leakage or spillage. The face wash looks on a brighter side of green color when looked from outside, but as you pour it on your palm its lighter greenish liquid of moderate consistency like most cleansers or face washes. I liked the dark green minute particles in the cleanser which dissolve immediately when you softly rub the facewash between your palms. 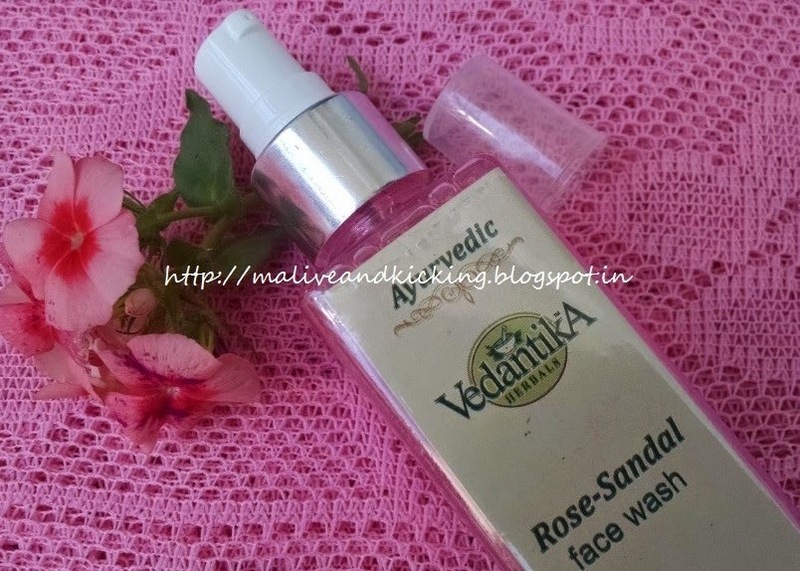 The fragrance of face wash has more prominent Neem essence than Tea Tree oil's. I liked the fragrance moderately. The smell doesn't last after you rinse your face. So even if you don't like it much, its not going to bother you. Only a pea-sized liquid foams sufficient to cleanse the face, so a 100 ml packing is expected to last more than a month. 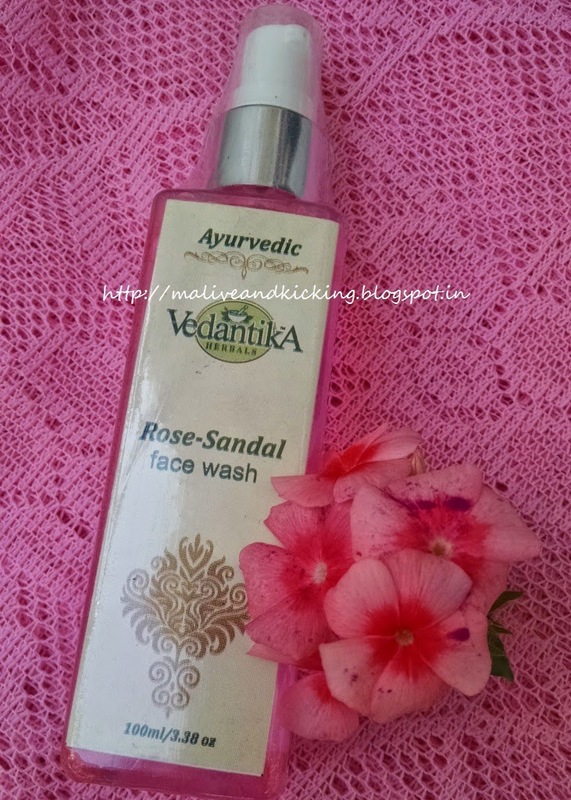 This face wash is meant for Oily Skin as mentioned on the pack, but I gave it a try on my dry skin after thinking few times to check on whether it has any ill effects on other skin types. 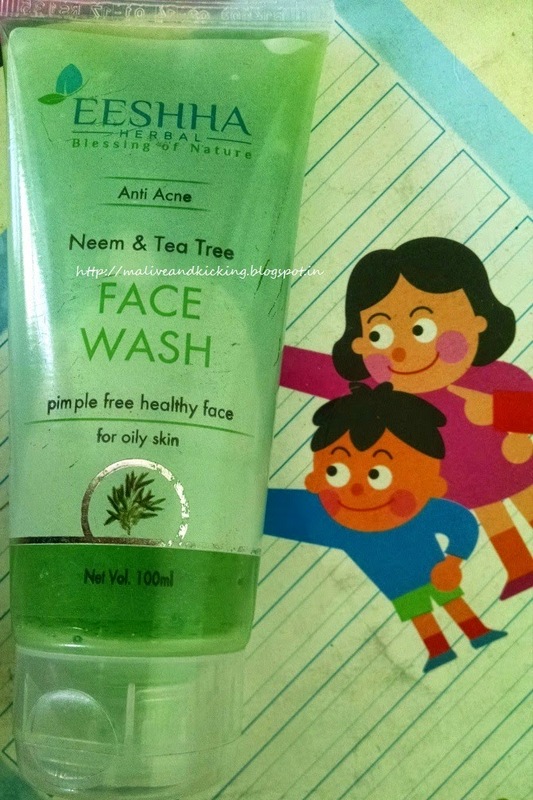 So my experience says that this Neem and Tea Tree Face Wash causes no skin issues to other skin types than oily one. But I felt my facial skin drier after rinsing it off as if the required moisture is ripped off from the face which made me feel uneasy, so I had to follow it up with a moisturizer to soothe the skin. As far as the purpose of the facewash is concerned, I liked the effective dust removal. The ingredients of the face wash claim to treat acne. 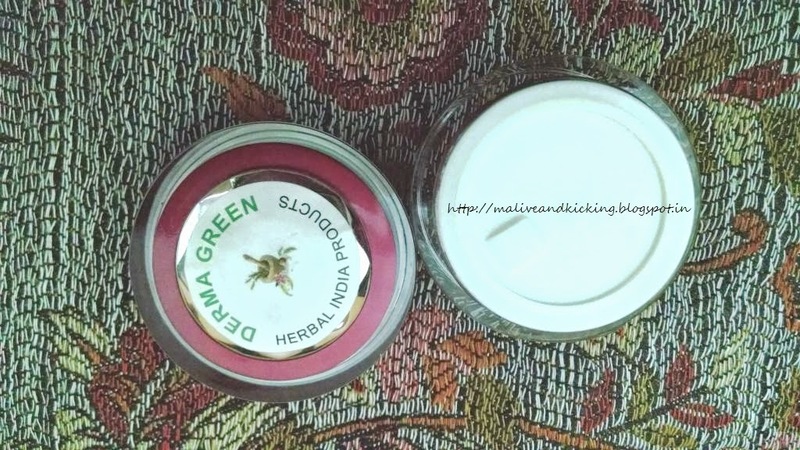 but since I have clear skin with no pimples/acne, I cannot practically support the product claim, however the ingredients like neem n tea tree provide anti-bacterial protection, so I can expect this product to work on the issue for those who are looking for a gentle cleanser to reduce acne. No ill effects on skin. Removes dirt and deep cleanses the skin. Requires very less quantity per usage. Not an appropriate choice for drier skin type. 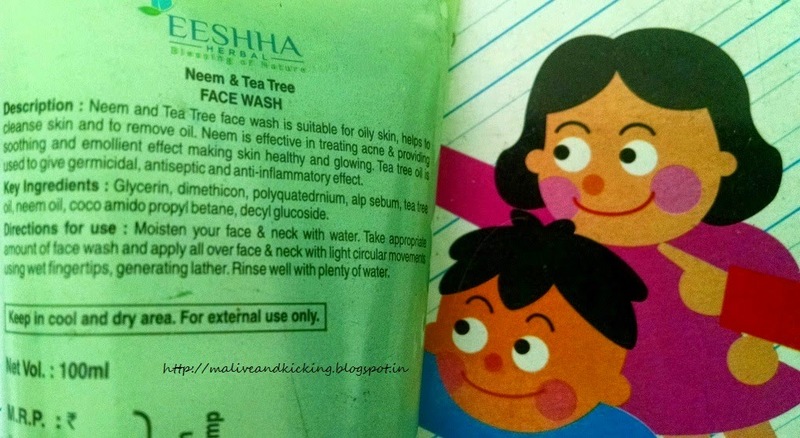 Eeshha Herbal Anti Acne Neem and Tea Tree Face Wash is a good product for oily skin that stands to battle acne. It didn't fare too well for my skin type, so I won't be repurchasing it for myself. 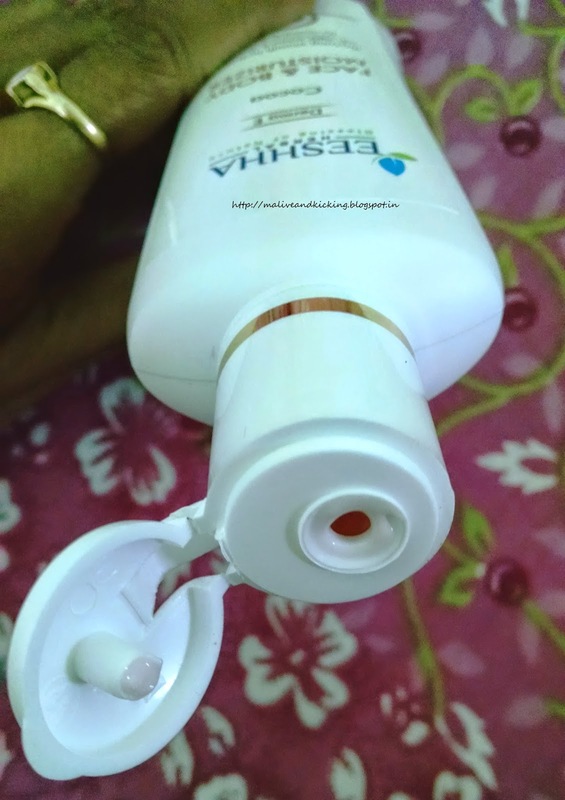 But I am sincerely loving all the products that I have used from Eeshha Herbal product line in past, so would love to try other variants of face washes that would suit my skin. Those who have been reading the past reviews done by me on skin care products might be knowing that my dry skin is always thirsty for moisture. So I keep on switching to one or the other moisturizers seeking more hydrating power. 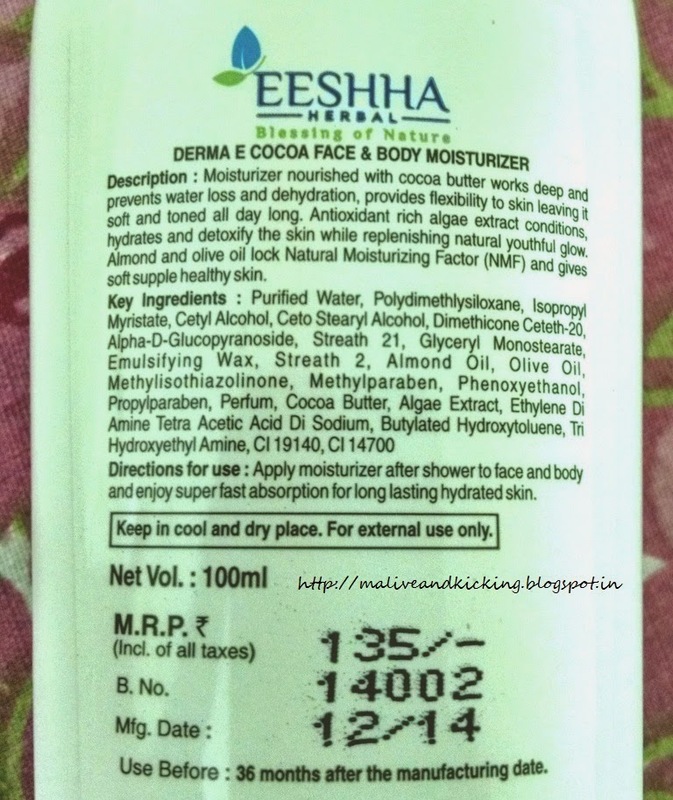 This time I got to try Eeshha Herbal Moisturizer for face as well as whole body enriched with Cocoa, Almond oil and Algae extract. The moisturizer contains cocoa butter that works deep and prevents water loss and dehydration, provides flexibility to skin leaving it soft and even toned all the day long. Penetrates deep into the skin; makes it smooth supple by removing roughness. 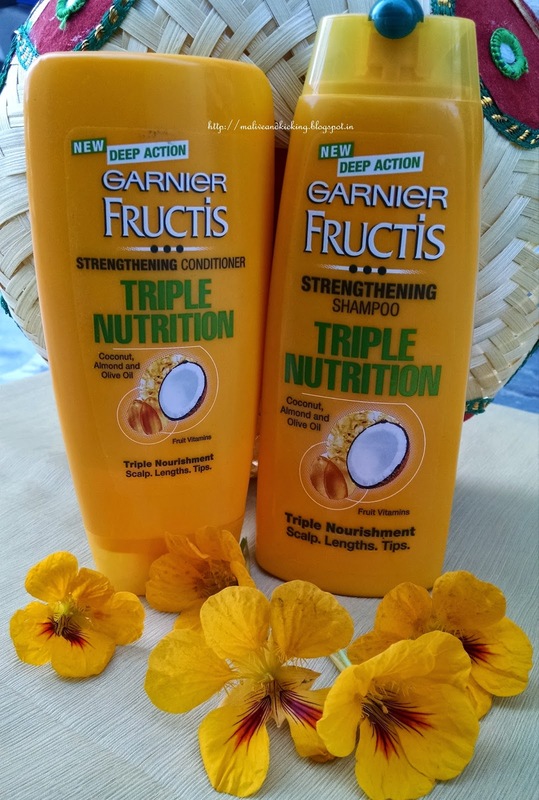 Mineral oil gives lubricant effect, glycerin prevents loss of water from skin preventing dryness; cocoa butter has property of emolliency and retains skin moisture. The product comes in plastic squeeze bottle with flip-open cap. 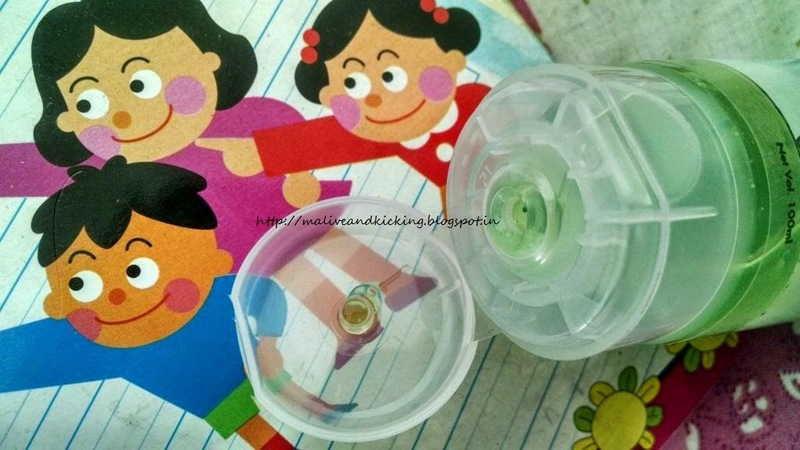 The hole pierced on the bottle top ejects enough moisturizer in gentle pressurizing. The cap is decently tight. Shelf Life: 3 yrs from the date of Mfg. Olive Oil, Almond Oil, Shea butter Blend, Vitamin E, Cocoa Butter, Algae Extract, Isopropyl Myristate,Trehalose, Dimethicon. Before I should start reviewing the moisturizer, let me tell you that tons of our favourite beauty products are loaded with algae (seaweed) extract and we rarely get to find its mention in ingredients list. Algae extract is said to bring potential benefits for our skin. 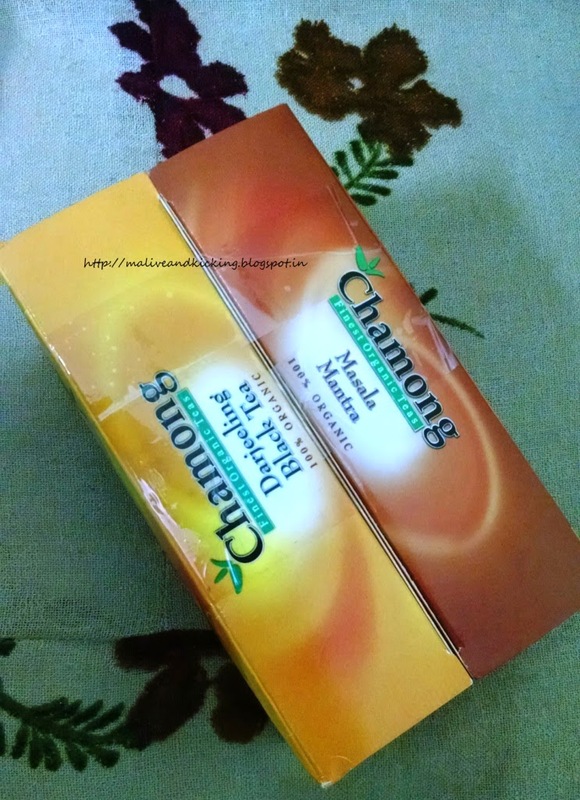 It can help to restore the glow for a youthful skin by improving cellular energy and vitality. It re-activates the natural protective mechanism of skin to restore healthy function which we lose due to stress and other skin issues. Apply moisturizer after shower on body and face to enjoy super fast absorption for long lasting hydrating skin. 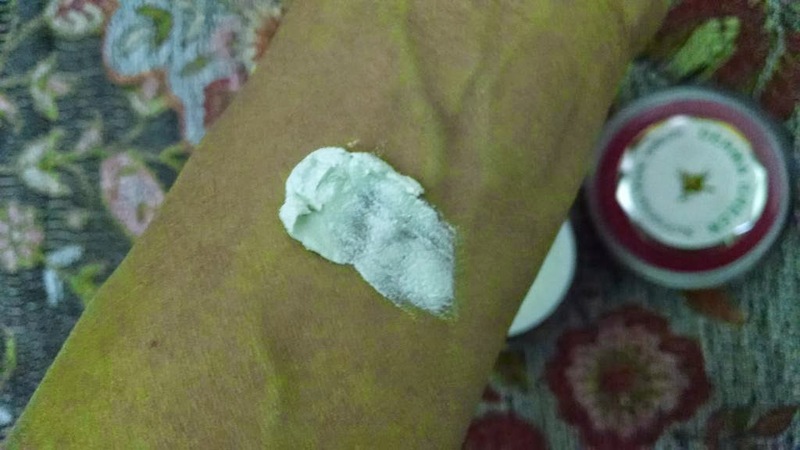 The moisturizer is of moderately thick consistency that stays on your palm without running. Though the usage instructions read that it should be applied immediately after shower, I preferred to use it post-shower on my skin after towel drying it and didn't rinse it to enjoy more moisture. I swear that this light pink hued moisturizer actually is so easy to smear without any extra effort and penetrates into skin very easily and evenly. 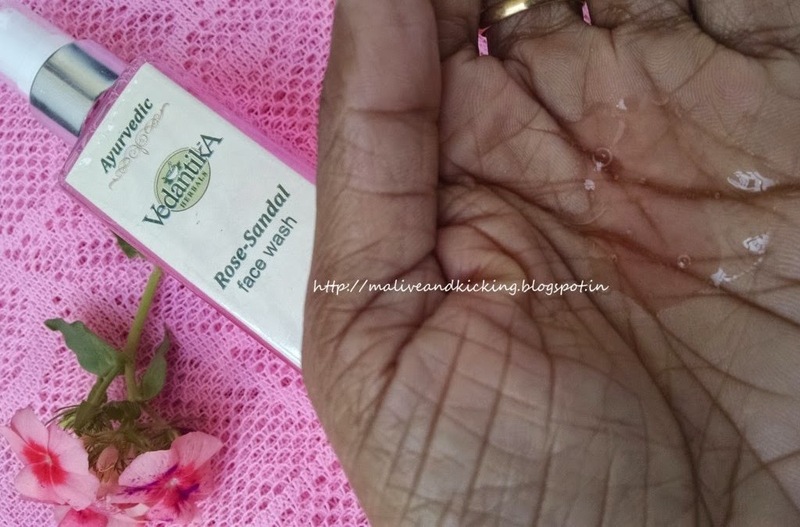 I quite liked the product because it is too light on skin and leaves no shine on skin. Though the moisturizer doesn't feel greasy or sticky at all, yet it gives the skin ample lubrication for a deeply hydrated feel. Moving to the hydrating power of Cocoa Face & Body moisturizer, the skin remains soft, supple and glowing for as long as 3-4 hrs. 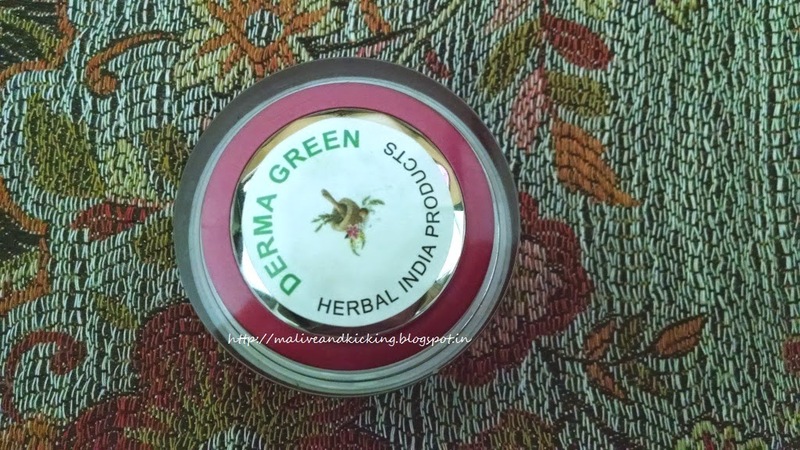 As the summer season progresses, I might have to re-apply it 2-3 times as per the demand of my skin, but the normal skinned beauties would find it enough after single application. Lets not forget talking about its fragrance... 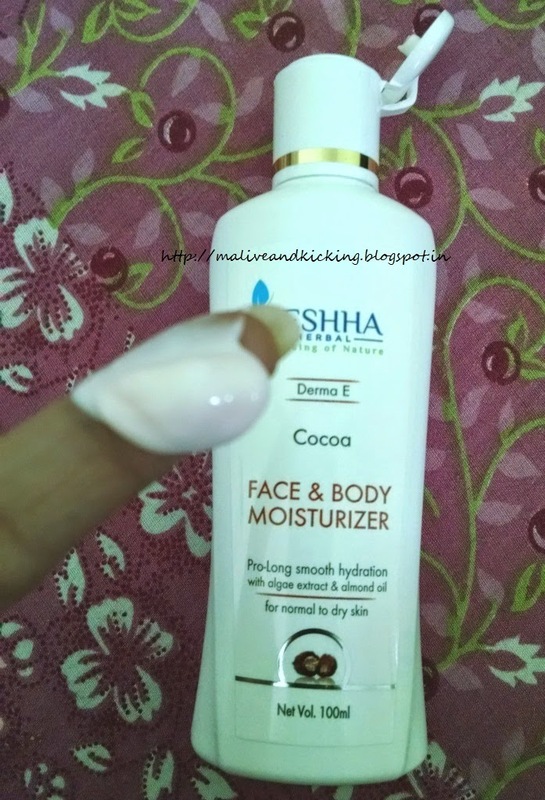 The initial thoughts after reading the key ingredients that have gone into formulation of this moisturizer gave me an impression of chocolaty fragrance. But to my great surprise, the moisturizer doesn't smell like chocolate exactly, but a sweet and somewhat unusual fragrance lingers on body for quite a few hrs. Smoothens the texture of skin. 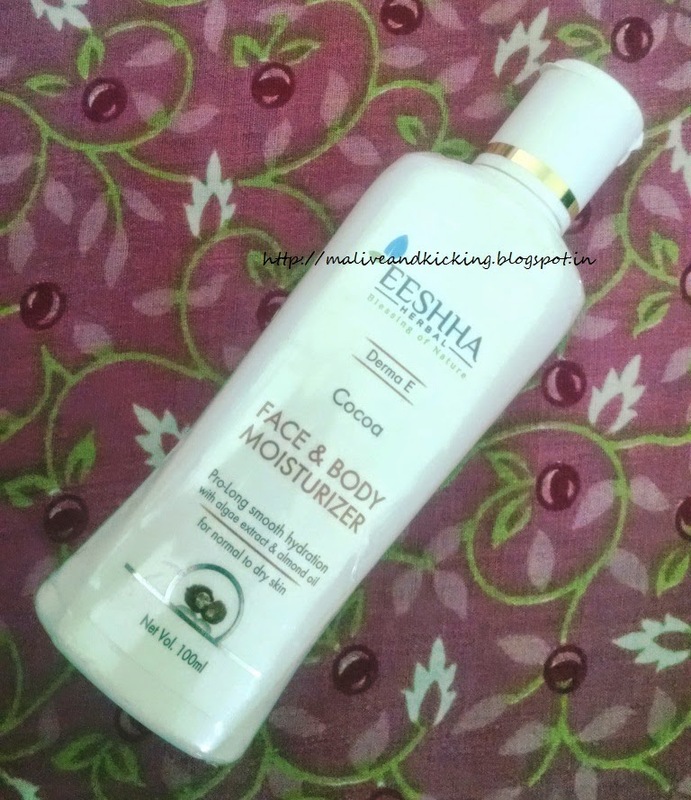 Eeshha Herbal Cocoa Face & Body Moisturizer is a wow product for Normal to Dry skin people and you need not to use different emollients for face and body. 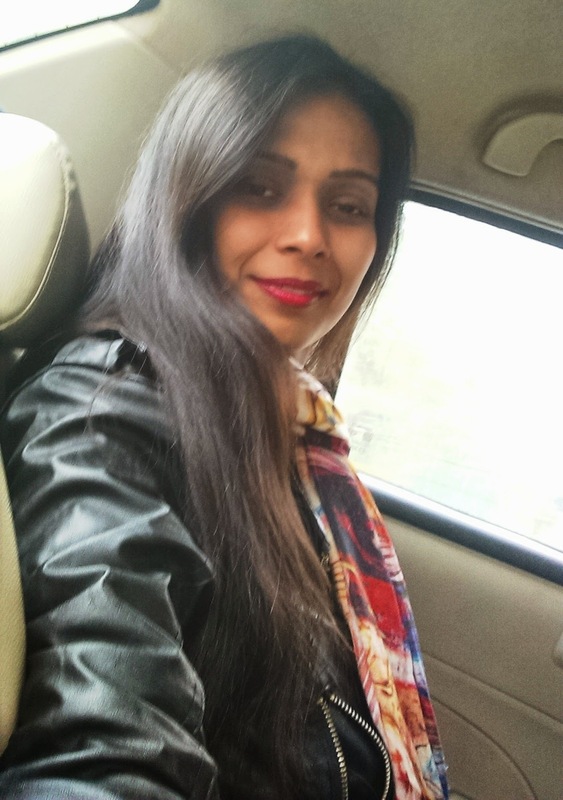 I have been an online shopper since many years now and have been buying almost everything including apparel, electronics, books, footwear and everything else which I need and is available online. I don't even mind buying groceries and beverages from premium multi-product stores. 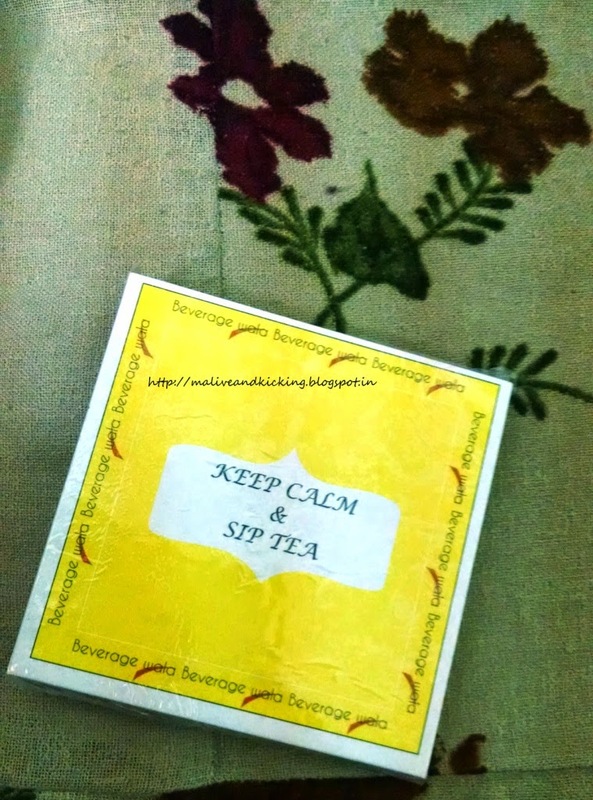 But few days back I got to know about an exclusive beverage retailer called Beveragewala.com. 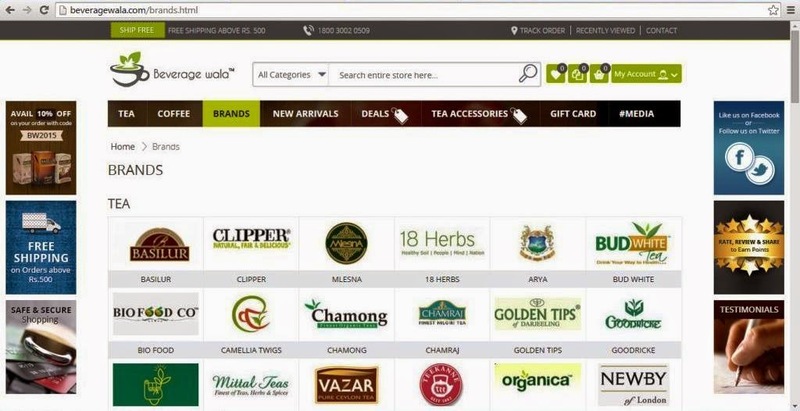 The name itself was so indicative that I needed not to ask what they deal in... so here I introduce to you a first of its kind Tea & Coffee e-Retailer in India Beveragewala.com. Beveragewala has been founded by big tea enthusiasts who believe that there is no good channel to view and purchase good teas and coffees in one place. This led to the idea of Beveragewala coming into existence. Beveragewala is an online provider of premium beverages, particularly teas and coffees, right at your doorstep in India. 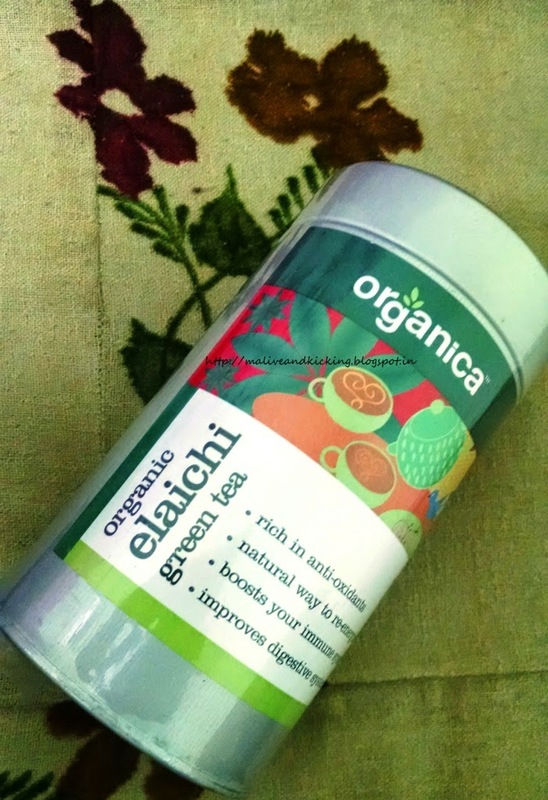 At present, they have over 35 brands and 400 products which includes a wide variety of Black Teas, Green Teas, Oolong Teas, Herbal Teas, Red Teas, Infused Teas, Coffees and so on. 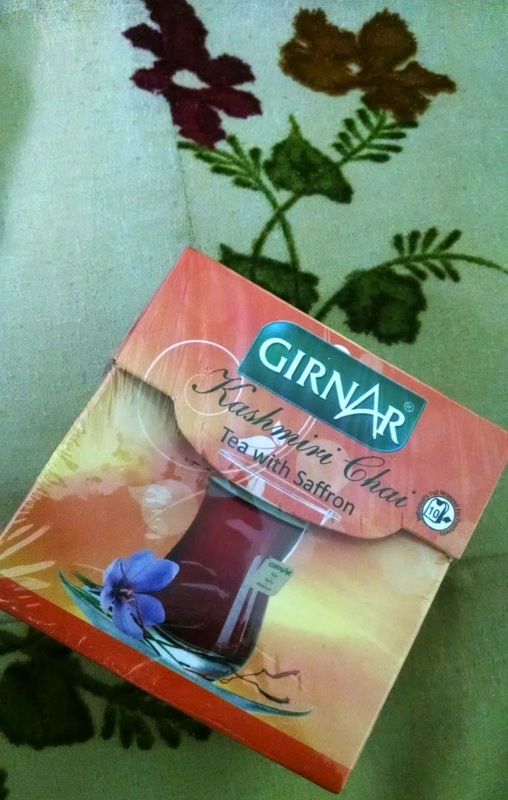 Since I am also a member of a Tea Loving Nation, so I feel happy that Beveragewala is entering into this Industry at a very nascent and appropriate stage. 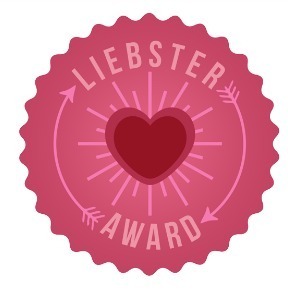 A new registrant gets to receive reward points for his/her own registration as well as for referring friends and loved ones to join the site. The orders above Rs 500 are shipped via courier partners such as DTDC, FedEx & Delhivery without any extra shipping charges and are delivered within a week's time in safe packing. They have a separate section for quirky Tea Accessories that make your beverage experience a unique and memorable one every time you sit to sip your fav beverage. 1 % of all sales at Beveragewala are donated to various NGOs & are used for the ‘Smiles @ Beveragewala’ initiative. Interested people can brush up their beverage knowledge at Tea Guide that answers most of your queries. 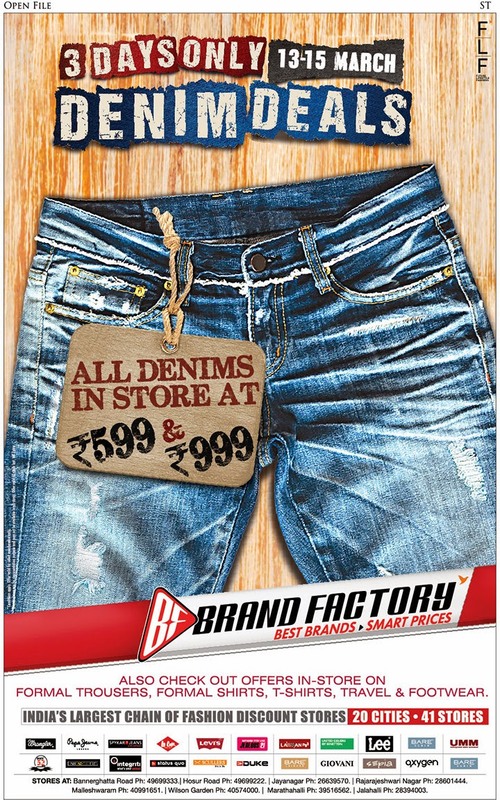 The website gives a crisp n cool feel in first appearance with no unwanted adverts in between the product display. 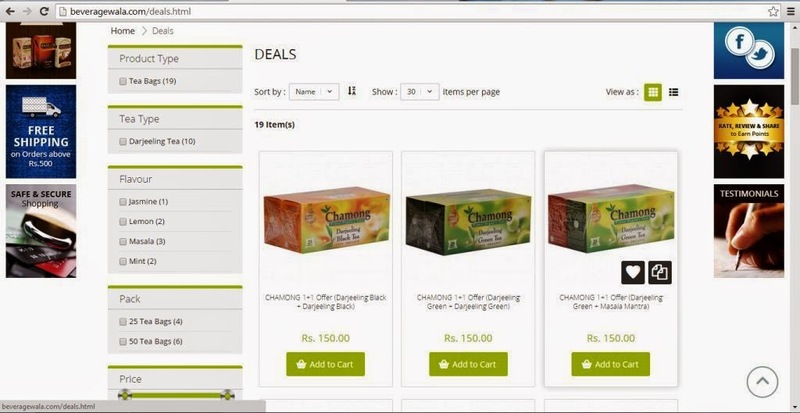 The salient features regarding offers, discounts, shipping etc are highlighted in small clickable thumbnails on both left and right margins. 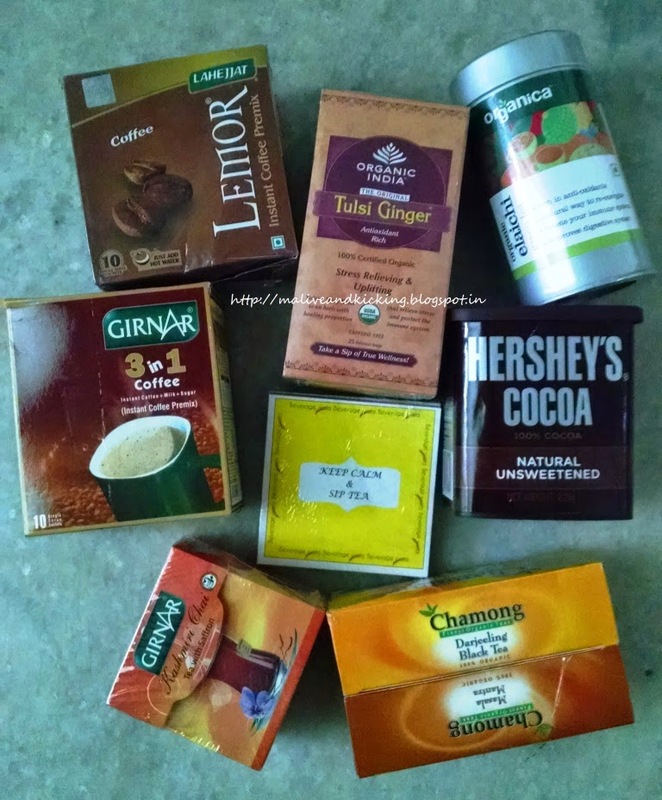 Some of the tea and coffee brands are the ones which give me immense satisfaction, so I am very loyal to those and always keep a good stock of the same. So when I wanted to place an order on Beveragewala, I firstly used the BRANDS tab on the homepage itself to quickly check whether my fav brands are being sold there or not. I was pleased to find a number of brands with their logos arranged separately in Tea and Coffee sections. So it made easier for me to directly click and choose my preferred items. Though I would like the Brands to be arranged alphabetically. 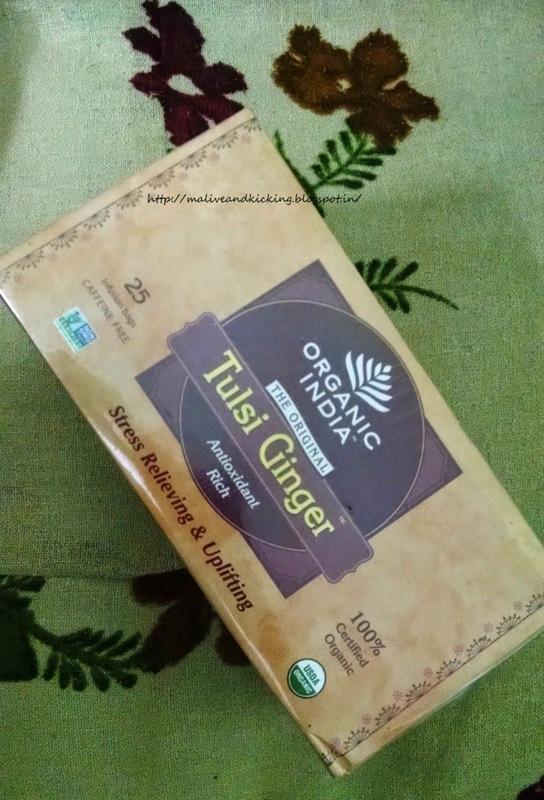 The Tea section impressed me with following varieties wherein the figure-conscious people can treat themselves with slimming tea ;) Anyways, I picked the flavours of my choice including Tulsi, Ginger, Ilaichi etc for satiating my craving for different moods. 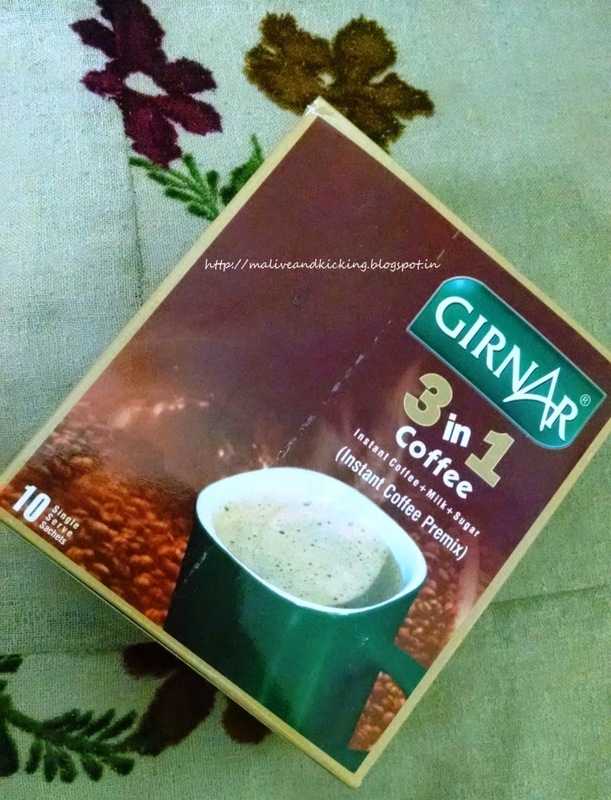 There is a wonderful listing of almost all types of coffees that you may think of....Just a click of COFFEE tab opens a wide array of brewed beverage. Some of the coffee brands are exclusively found on Beveragewala only. So I grabbed what my heart wanted. 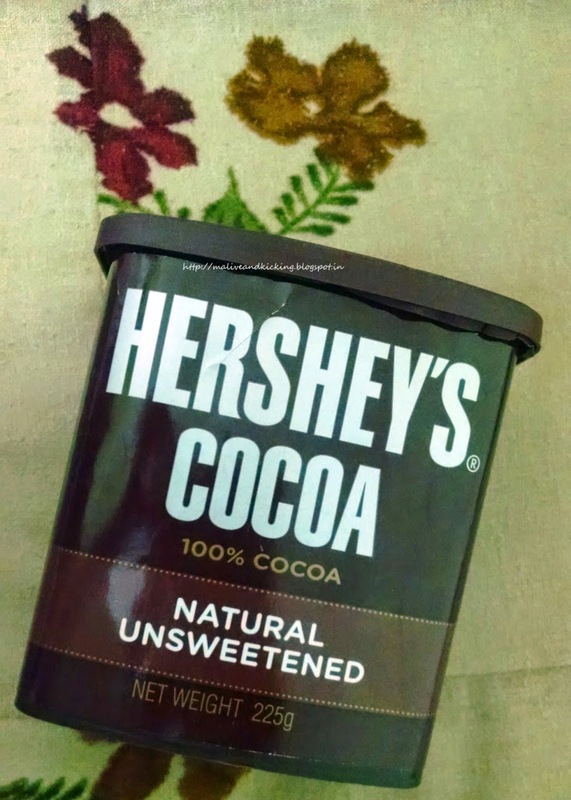 A careful look at Coffee section made the Hot Chocolate noticeable to my boy and he insisted a pack of HERSHEY's Cocoa for his special chocolate cake and obviously I had to buy one for him ;) I would love the Hot Chocolates to be placed under a separate section. I liked the various filters provided on left pane showing Price, Quantity, Brands, Type, Flavours, Packing etc. 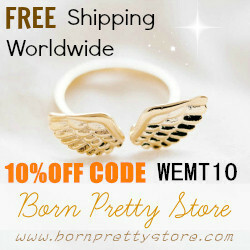 that makes the shopping experience fuss-free and less time consuming. I received my order well packed within 4 days of ordering. All in all, Beveragewala.com has an impressive collection of beverages to restock and replenish your kitchen rack with variety of tea, coffee and hot chocolate etc. 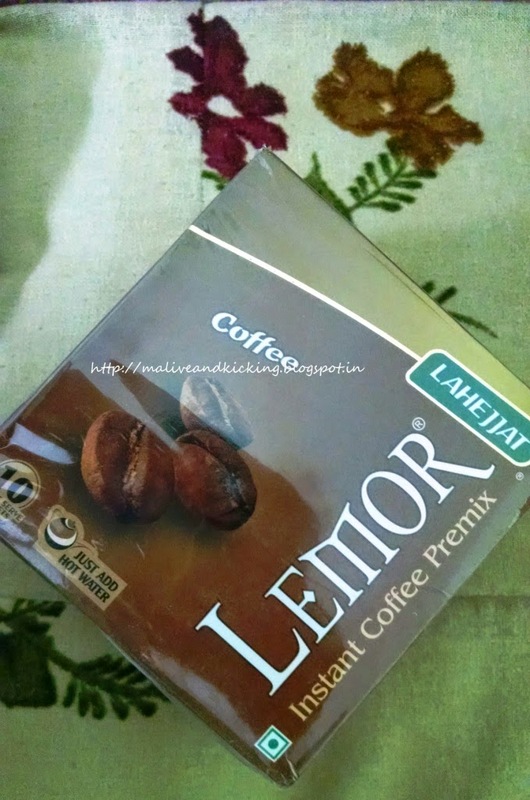 LEMOR Instant Coffee Premix (10 Satchets)MRP: Rs. 105. “If you want to be happy, find a career doing what you love.” ...this line used to echo in my mind ever since I was quite young to think about working. I wanted to break out of my family's tradition of getting the daughters married after they complete their studies. I wanted not only to get educated, but also pursue a career I was wildly passionate about i.e. teaching. I had a gut feeling to choose teaching as my profession to unlock the door to success and fulfillment. My daydreaming turned into action and I eventually got a full-time lecturership job right after completing my Masters degree. I considered myself luckiest amongst all the eligible candidates who had a powerful jack to secure that job position for them. 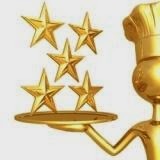 But my stars and my academic credentials ensured that designation of great repute for me. :) I could visualize myself being an idealistic role model for the next-gen students since they would be able to relate to me more conveniently. Few days at my workplace were genuinely welcoming, full of happiness and pleasure. I had humblest feelings of regard for my peers who were helping me in every possible manner to get familiar with the system. I trusted my good fortune and praised my colleagues too much for their moral support even at my home. Till the end of my first academic session, we all had built great rapport with each other and I was loving teaching and learning side by side. But this was the time, when I was shaken by the awestruck jolt to my faith. A colleague of mine who had developed insecurities due to my achievements and started feeling envious of my increased popularity, tried to spread irrational rumours about me and my work ethics. Though it wasn't unheard to me of someone who tries to steal credit of another person's efforts and defames anyone out of jealousy, but it was beyond my imagination that it could happen to me too. :( I would either continue working feeling miserable and hating my life or stayed at home giving one excuse or the other to stay away. "Dear, this life is full of imperfect things and imperfect people as well. Even you and me are perfect at hardly anything. At times, we might also hurt someone just like everyone else. So firstly there is no point judging others on your terms. Over the years, what I've learnt is to accept others faults and choose to celebrate others' differences. This is the only key to create a healthy, growing, and lasting relationship. And when I say 'relationships', I don't only mean our family bonding, but it encompasses our co-workers and colleagues also. It is always in your best interest to work #together as a team. But if the circumstances don't allow you to do so; believe me that no one can ever steal the fruits of your labor by talking bad things behind your back. Just be certain that you will meet your own deeds in the future. So just try to cheer up and find your inner strength by not complicating things, because your negative attitude is stealing all the good things from your life." Labels: #lookup, #together, home decor, housing.com, life.